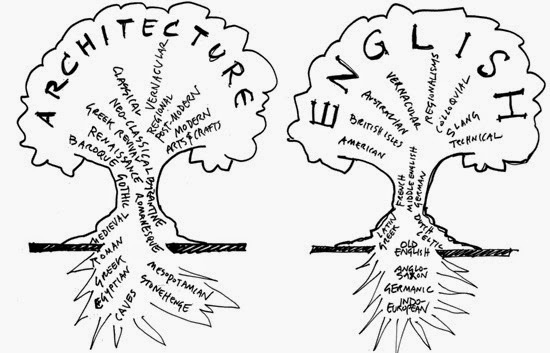 More and more, everyday, we hear the word ‘architecture’ and ‘architect’ used in an unusual context. Any idea that the Board of Architects of Queensland might be able to manage the use of the word ‘architect’ becomes an incredulous proposition. 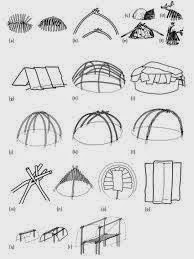 Even the use of the word ‘architecture’ has implications for the Board as this is seen as what an ‘architect’ does. Such phrases as ‘the architect of Medicare,’ (Australia’s healthcare system), and ‘the architect of Gonski,’ (the review on education in Australia), are common in today’s media discussions on the recently released budget. The word is used in some sense of designer, organizer; overall manager; inventor of the programme; the one who conceived it. A study of the architecture of architects and their architecture highlights the architecture of this relationship that structures an architecture that reflects both the architecture of the architects’ preferences and the architecture of their preconceptions that develop a complex architecture of ambiguity reflected in the architecture of place arising from the architecture of each architect’s office: their juxtapositions. Does all language eventually become gobbledygook? 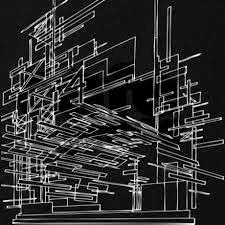 Why has ‘architecture’ and ‘architect’ become so fluid, loose, so as to suggest that there might be some real and deeply meaningful sense and relevance in almost any contextual fabrication? Language is rich and fertile in its adaptations, but are things getting out of control here? Is this free use of the words ‘architect’ and ‘architecture’ diminishing perceptions and understandings of architects and their work? 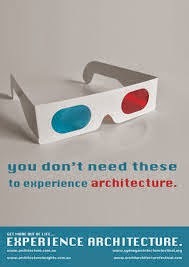 Or is it that these uses of ‘architect’ and ‘architecture’ are only hoping that some prestige and importance might rub off from the referencing of this aloof profession? Perhaps a little of both is involved here, as the profession does not enjoy much respect in the community. 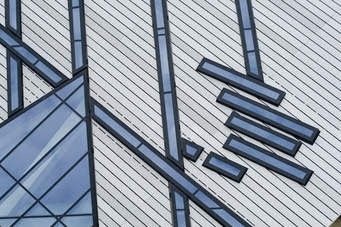 Architects are seen as dilettantes who promote their own unique ambitions using other people’s money and lives; in short, they are seen as a waste of time and money; a complete irrelevance. The only way out of this dilemma is for architects to become more responsive and responsible members of the community. 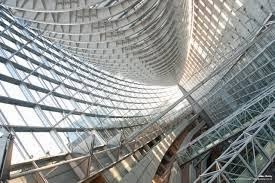 Then their roles and their works may not be so easily transformed into meaningless, stylish grabs that could be inspired by some of today’s architecture that is no more than this itself.
" . . . support the existing architecture of the Emissions Trading Scheme." The practice appears to be unstoppable. What impact is it really having on the perception of architecture and architects? Unfortunately it does not seem to be useful in any way at all. The frequency of the unusual use of the word 'architecture' is increasing. It almost appears to have become a fashion. Kevin Andrews, on ABCTV 7:30 Report, 30 June 2014 said: " . 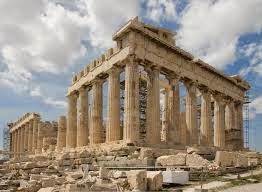 . . come back with an architecture and see if it works." He later expanded on this statement, as if seeking to clarify it: "He'll come back with an architecture, proposals to restructure the system." Kevin Andrews was referring to changes in the disability welfare system. Later this same evening, on ABCTV Media Watch, in a comparative example, this phrase was used: " . . the architects of the Nazi Holocaust." It seems that the dictionary will have to be modified given this growth in understanding: or is it the growing popularity of a misunderstanding? We might need a new word for 'architecture' soon. Maybe 'building'? The Australian, in a story titled 'Hewlett-Packard bets on the Machine of the future.' reports Jim Merritt, HP's Asia-Pacific enterprise services chief as saying: "HP's new Moonshot server already incorporates the new compute core architecture that will go into the Machine." 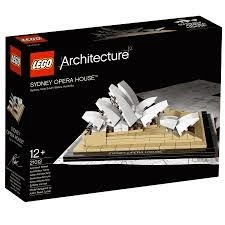 Does anyone know beyond some vague sense of feel-good relevance what 'architecture' means? 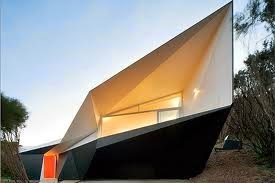 Where does this leave architecture? It is almost becoming a daily event. On ABC Radio RN, The World Today, 12:15 pm, 9 July 2014, the word was again heard: ". . climate change architecture . . " The use of 'architecture' in this context seems to have gained a general acceptance through its repetition. Just where this leaves architecture is something that will have to be observed and assessed over time. It does not appear to be useful for a profession that is struggling for an 'everyday' recognition and relevance. So it seems that one can be the architect of anything good, bad and/or ugly. 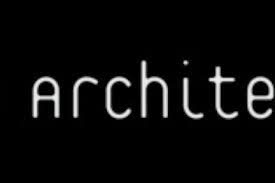 What chance does the Board have in what seems like its futile attempt to manage the usage of the word ‘architect,’ especially when it has so much trouble defining the word? Asked about China joining the US’s stead Ciobo said the original architecture allowed other countries to join. ABC Report 24 January 2017 Australia open to China and Indonesia joining TPP after US pulls out. "This is a disappointing move. I hope the architects of it clearly understand the ramifications of the decision that they're a party to."